Lost industrial production and unplanned plant outages can be unbelievably costly. Asset condition monitoring, as the name implies, is the process of continually monitoring a machine or piece of equipment with the intent to predict mechanical wear or failure point. Key indicators of failing equipment are changing values in vibration, noise, and temperature, all of which are measurable with the right equipment. Monitoring these variables, key indicators of machine operating health, provides valuable data which can be analyzed. By evaluating trends in the data, intelligent systems can provide useful information about the equipment and asset, such as early detection of possible faults or failures. The goal is to take preventative, less costly, measures, rather than clean up after an outright failure. Implementation of asset condition monitoring is benefiting manufacturing plants and process industries such as chemical, petrochemical, pulp & paper, power generation, wind turbines, and oil & gas. Not only can it save money from protecting against unplanned outages, but condition monitoring also improves productivity, quality, and profitability. GE's Bently Nevada 3500 Monitoring System provides continuous, online monitoring suitable for machinery protection and asset condition monitoring applications. 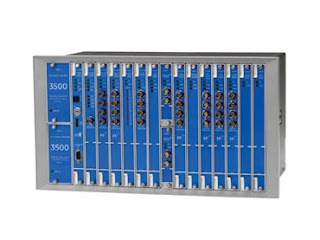 It represents a capable and flexible system in a traditional rack-based design, offering numerous features and advantages not provided in other systems. Share your equipment monitoring requirements and challenges, large and small, with application specialists. The combination of your process and facilities knowledge, with their product application expertise, will produce effective solutions.